Enjoy efficient performance of the Goodman GPC1560H41 5 ton packaged air conditioner. This model from the GPC series offers 12.0 EER and 15 SEER ratings of efficiency. It provides up to 57,500 BTU cooling capacity. Also, it operates with an airflow of 1600 CFM. The air conditioner is housed into a heavy-gauge galvanized-steel cabinet with an attractive architectural gray powder-paint finish. This construction resists corrosion and ensures lengthier lifespan. The Goodman GPC1560H41 is intended to provide high-quality operation, while saving costs. It features energy efficient, multi-speed ECM blower motor and copper tube/aluminum fin condenser coil, which ensure reliable performance. Excellent air distribution is provided by the all-aluminum evaporator coil. This air conditioner offers fast and easy installation, it can be mounted horizontally. In order to provide heating performance, this model should be used with the compatible heat kit. 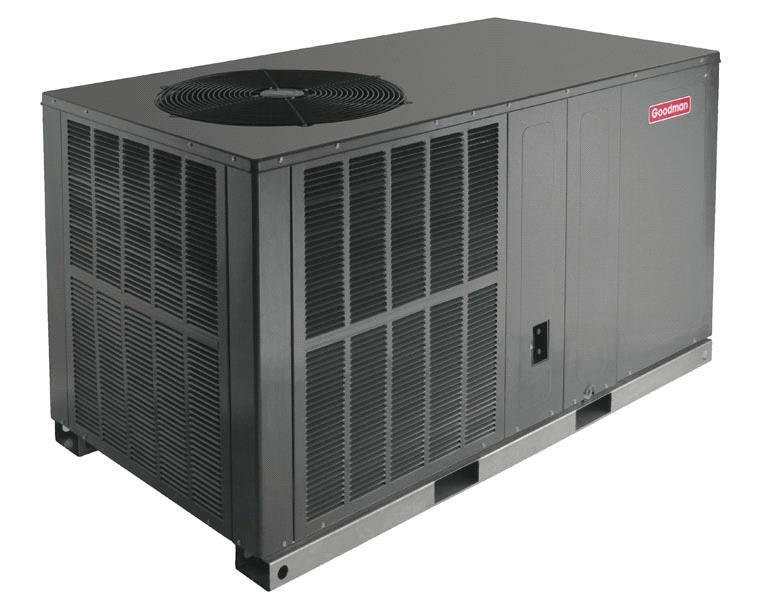 In addition, this Goodman 5 ton packaged air conditioner is ETL listed and AHRI certified.